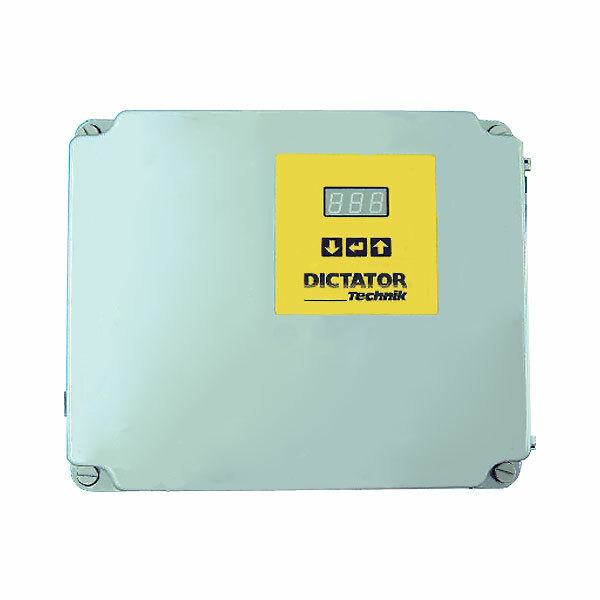 The DICTATOR product line offers the appropriate control system for every application. There are simple and affordable control systems available, as well as electronic ones with microprocessor, characterised by high opening speeds, gentle run down in the final positions, reduced opening for persons, automatic closing and much more. Together with the electromotive operators of the DICTAMAT series they offer maximum convenience even when moving heavy fire doors and gates.